For all your HR needs, PrimeStaff is all you need! 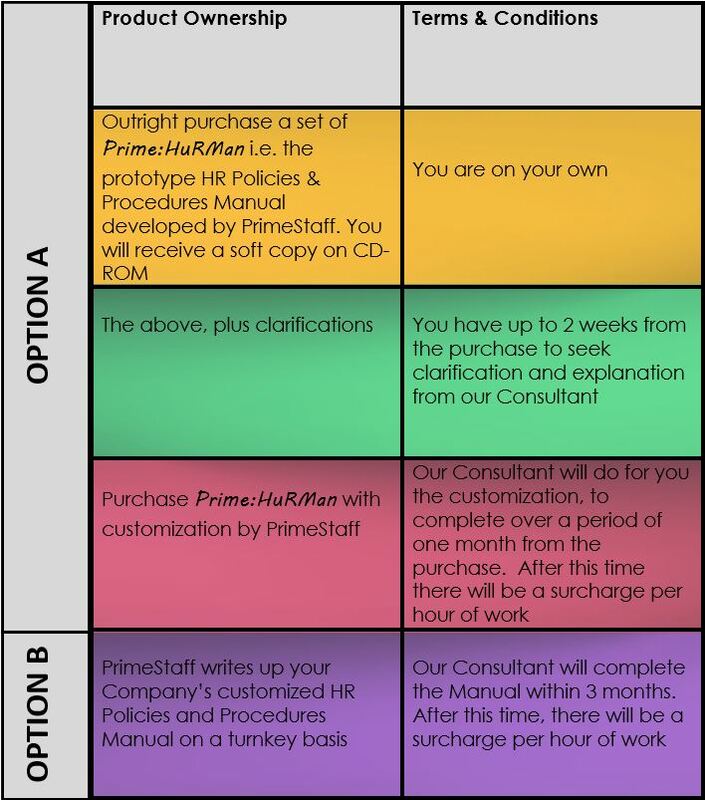 PrimeStaff provides two options for you to own PRIME:HuRMan©. Any of the option will give you ownership to the manual. For options A, if you want our Consultant to draft a policy which is not listed in Attachment 1, there will be an additional fee for each such policy developed. The fee will depend on the type of policy. And this is how we go about doing it.